Employment - Williamsburg Heating & Air Conditioning, Inc.
Join our family! 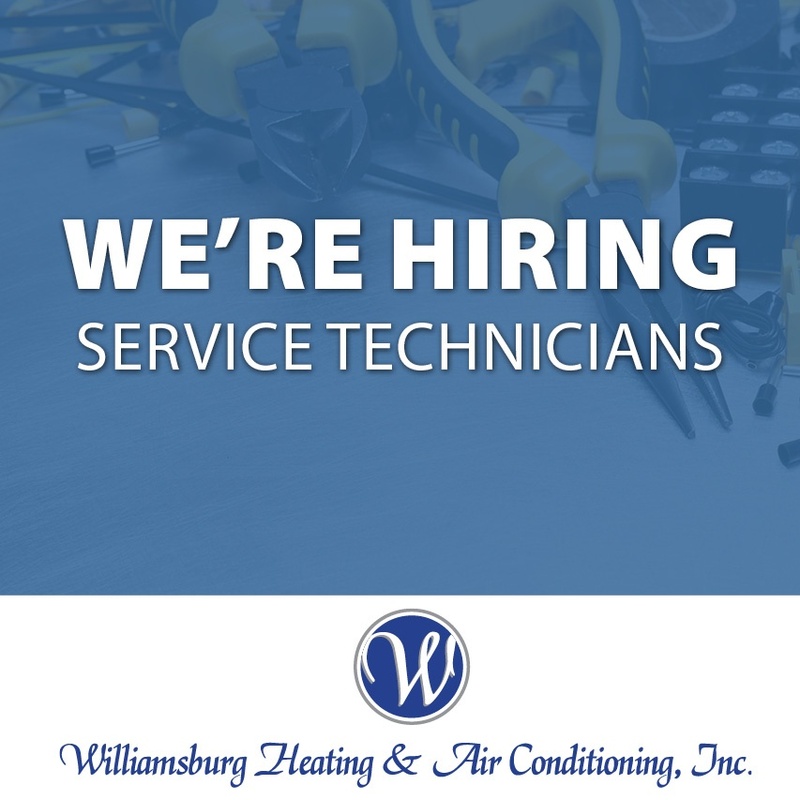 Williamsburg Heating & Air Conditioning, INC is currently hiring for a Service Technician - You can apply by filling out the form below or call us at 220-4357. Are you the right person for the job? Install, maintain and repair heating, ventilation, and cooling units, primarily residential customers. Diagnose and repair of electronic, mechanical and electrical components of these systems. and correcting diverse HVAC service issues. Ability to work independently in a timely manner. Please submit your application to Williamsburg Heating & Air Conditioning.